If there is anything more miserable than suffering with the flu yourself, it is taking care of a child who is also sick at the same time. That makes two runny noses to blow, two coughing mouths to cover, two sore throats to ease, two temperatures to take, two doctor visits to schedule… Two of everything means twice as much work and (often) twice as long to recover. But what if there was a way—several ways, in fact—to greatly reduce the risk of you and your family getting sick this winter? 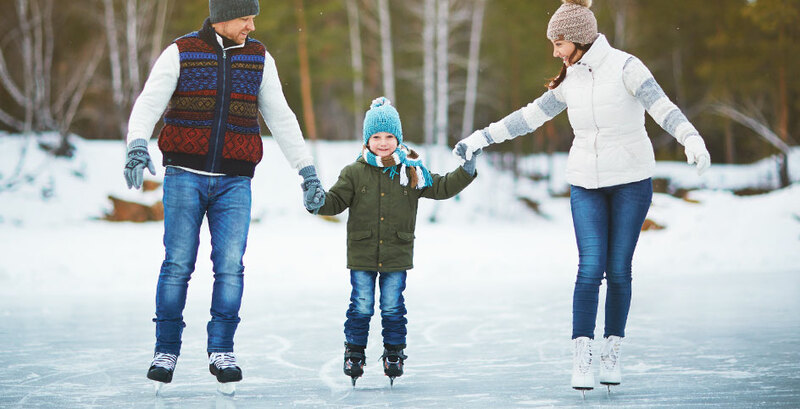 In this post, we share timely tips for keeping everyone in your family healthy all winter long. Children are in what medical professionals consider to be the “high risk” group for contracting a cold and flu in winter. In each case, what you have is an immune system less resilient to outside stressors such as germs, viruses, bacteria, fungi and other health complications. Children can be hard-hit with flu side effects, including convulsions, ear infections, and stomach pains. But since kids are also often forgetful, easily distracted, and prone to believe “the bad stuff” won’t ever happen to them, it is best to take on these six health tips as a full-family project. Washing hands isn’t just running them under the water with a squirt of soap. It is rubbing hands together with plenty of soap, cleaning under and around nail beds, and making sure both the front and back of hands get soaped and rinsed. Otherwise, germs can be transmitted when eating, rubbing eyes, and other common activities. By sneezing or coughing into a tissue held in both cupped hands, the tissue can then be immediately folded up and thrown away, trapping the germs inside. Hands should be immediately washed following a sneeze or cough as an extra safeguard. If no tissue is handy, cough or sneeze tightly in the crook of your elbow, then wash arm and/or change shirt. The more sleep you get, the more resilient you will be to stress (a major immune system buster) and germs. Ideally, children should get more than eight hours (nine or ten is best) and adults should get at least eight hours a night. It is easy to transmit germs through sharing food and drinks, as well as makeup, lip balm, and other personal items. The best policy is to carry your own items and not share them with anyone to avoid transmitting germs. Sugary foods, especially, depress the immune system, as do smoking, alcohol, and too many processed, fatty foods. To boost your immune system and give you a fighting chance, eat lots of fresh foods, particularly greens, other veggies, and fruit. Make healthy broths. Garlic, which is antibacterial, antiviral, and antifungal, especially raw (but you can find it in supplement form), is also an effective immune booster. Keep alcohol to a minimum. Take at least 1,000 mg of vitamin C a day. Vit. D also helps. The moment you start feeling less than 100 percent, you should take some extra time to rest, hydrate, sleep, and relax. If everyone in your family follows this guideline, it is less likely that one member will get the flu and then pass it along to others. One of the main reasons why cold and flu season always happens in winter is that germs live, breed, and spread better and faster in cold, dry air than they do in any other type of air. Happily, this also means there are some ways you can control how well germs are able to live and multiply in your home and workplace! Make sure your HVAC unit is inspected and maintained as soon as possible. This way, you won’t risk a breakdown in the middle of a big freeze, which can wreak havoc on your immune system through stress and depleted energy. Keep your indoor air humidity between 30 and 50 percent. Whether you add room humidifiers or opt for a central whole-home system, raising humidity levels during winter can make it difficult for cold and flu germs to grow and spread. It also helps prevent dry and irritated noses and throats. Ensure heat is distributed evenly throughout your home. Having areas that are colder or warmer than others in your home or workplace places extra stress on your immune system and on your body’s internal thermostat. The more energy your body has to expend to maintain your ideal body temperature, the less resilience you will have to cold and flu germs. Weather strip and seal your space. Air leaks, cold drafts, and cold surfaces (floors, walls, windows) can all contribute to lower immune system function. Weather stripping and caulking is relatively cheap and easy to apply. As a bonus, sealing air leaks will also save you money on your monthly energy bill! Here at Shipton’s, we have lived and worked in the Hamilton and surrounding areas for nearly a century. We have personal as well as professional experience dealing with just about anything a Canadian winter can dish out, and we know how to help our customers combat these weather challenges. Now is a great time to schedule your annual HVAC system’s inspection and routine maintenance checkup. Your prompt, courteous, and highly trained technician will do a thorough inspection and cleaning, provide lubrication as needed, make recommendations for minor repairs or worn-part replacements, and give you suggestions on how to lower your energy bill this winter. Contact us at 905-549-4616 or online.